3 Camere da letto, 1 bagno, 7 posti letto, 1 matrimoniale, 2 matrimoniali, 1 letto singolo. Agriturismo! 3 camere da letto casa, 1 bagno su 94 acri !! A pochi minuti dall'Arca Venite Godetevi la fattoria di famiglia, passeggiate nei boschi, guadare nel torrente. Ampio parcheggio per veicoli più grandi tra cui RV. Godetevi una serena pacifica campagna. Esplora fienile e attrezzature agricole. Godetevi la fauna selvatica come cervi di coda bianca, tacchini selvatici! Potrebbe anche godere di una vista a distanza dell'arca dopo la tua escursione sul retro della fattoria. Godetevi il vicino da negozi a Williamstown, negozi di antiquariato nelle vicinanze. Il prezzo attuale è di $ 99 a notte per 2 persone più $ 48 di spese di pulizia e $ 15 per ospite oltre due. Lazy L si trova a 5 minuti da The Ark, a 30 minuti dal Museo della Creazione-40 minuti dal centro di Cincinnati - 40 minuti da Lexington (sede del Bluegrass). Cincinnati offre il Underground Museum, Cincinnati Reds. Newport ha The Newport Aquarium, il bellissimo lungofiume dell'Ohio. Lexington ha il Ky Horse Park, Keenland Race Track, bellissimi allevamenti di cavalli. We enjoyed our stay! The house was nice and clean. Very close to the Ark Encounter. Nice country setting. If you want to unplug from the hustle and bustle of the outside world, this is the place to stay. This is a great place to relax in Williamstown. 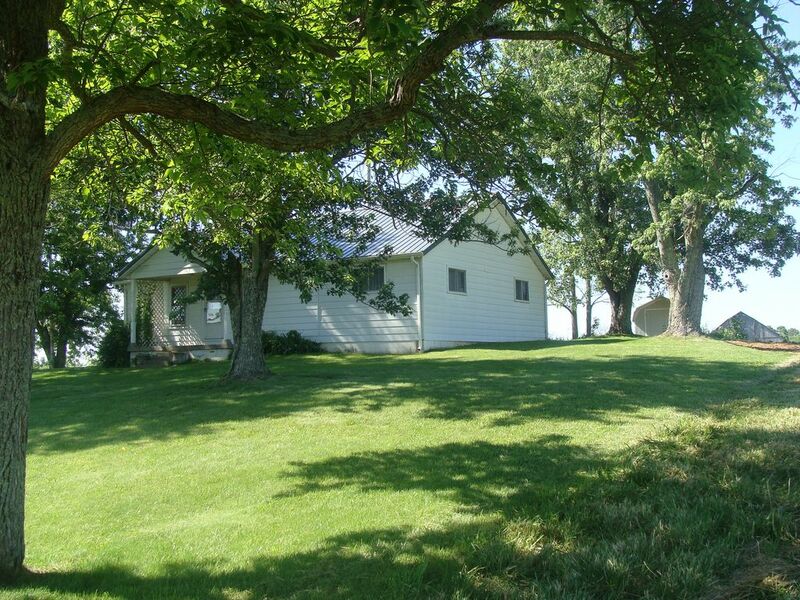 The quaint little farmhouse is in a very quiet and peaceful setting. The three bedrooms were very comfortable. The kitchen was very well equipped with everything you would need to cook meals. We even used the washer and dryer which was very convenient. Our whole group really enjoyed sitting outside in the evenings and early mornings and watching the wild life in the field out back. The location is an excellent place to stay for seeing the Ark Encounter and the Creation Museum. Donna is very helpful and friendly. We appreciate her letting us stay there. We highly recommend this home to anyone visiting in the area. Peggy, I am so glad you and yours enjoyed the stay at Lazy L Thanks for leaving the house so neat - you are welcome back anytime. Hope you had a safe trip home. Loved our stay! Cute & Clean perfect for our girls weekend. Has everything you need! Super close to the Ark Encounter! There was ample acreage to walk and enjoy the beautiful surroundings. The owner was accommodating as we were running late our first day. Very quiet and comfortable place to stay. I am so glad you enjoyed our farmhouse and the ample farmland. There is excellent cell phone coverage. Come again anytime! We visited the area to see the ARC and found this charming farm home. Great history in this place. Very well stocked with lots of little touches. Lots of land as well. The home just makes you feel rested and comfortable. It was awesome to walk to the back of the property and see the ARC from the house. What a blessing to find this place. I would recommend this place to anyone that is visiting the area. Thank you for the wonderful review. We enjoy sharing our farmhouse with Godly people. Mom and Dad always made their home welcome to everyone and we are so blessed to continue their tradition. Please come visit us again soon.